This superb and stylish Arts and Crafts colonial is beautifully sited on almost 10 acres. 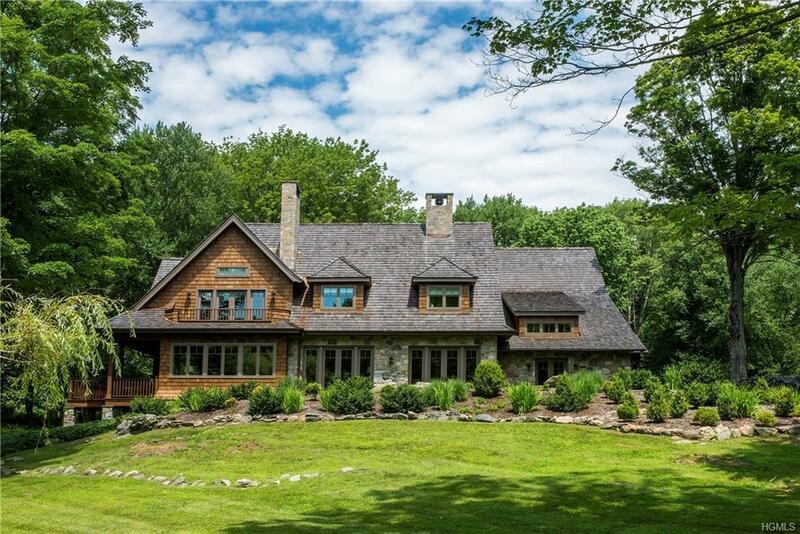 Featured on NBC's NYC Open House & The March 2018 issue of House and Home, the house is set at the end of a long drive and overlooks a sparkling two acre lake. Exquisitely conceived by architect Teo Siguenza and with an interior by designer Garrow Kedigan, the home features an open floor plan-framed by 10 foot ceilings and large windows-capturing water views from every room. A wonderful white marble kitchen is open to the family room and the adjacent covered porch. 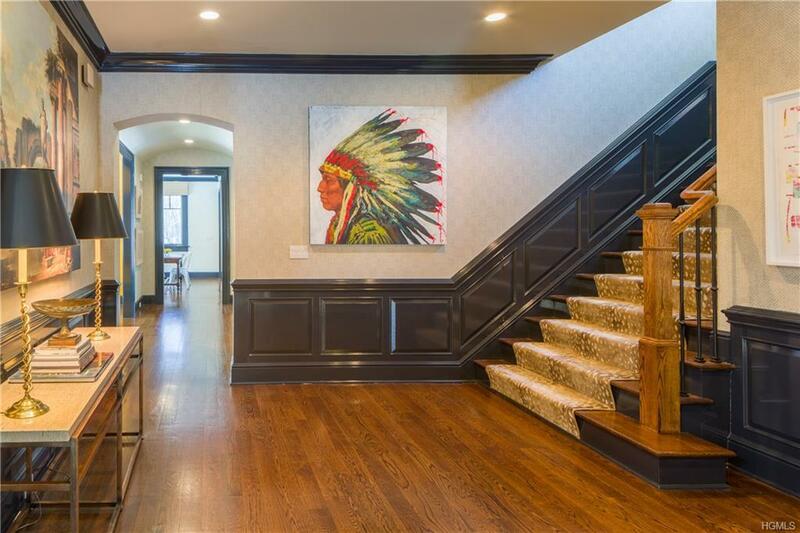 A broad staircase leads to the second floor with four bedroom suites each with private bath. The master suite includes a large walk-in closet. A separate wing encompasses a playroom and gym. The property is stunning; a natural blend of open meadows, light woodlands, mature landscaping and an enclosed vegetable garden. 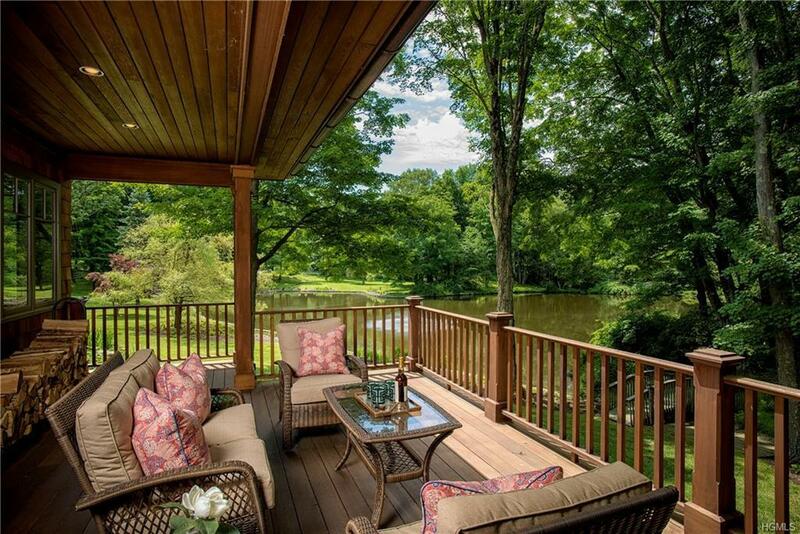 This wonderful country property is quintessential Pound Ridge; pastoral, private and sublime. Approved pool site. Listing courtesy of David Turner of Houlihan Lawrence Inc..